Camping & Motorhome Club members can claim £1 per night discount from our tariff prices when checking in with a current Camping & Motorhome Club Membership Card. 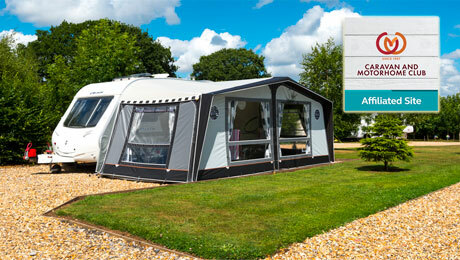 Please quote your Caravan & Motorhome Club Membership number when booking. Check-in with your Caravan & Motorhome Club Card. Learn about Caravan & Motorhome Club Affiliate Sites here. Camping & Caravanning Club members may claim £1 per night discount from our tariff prices when checking in with a current Camping & Caravanning Club Membership Card. Please quote your Camping & Caravanning Club Membership number when booking. 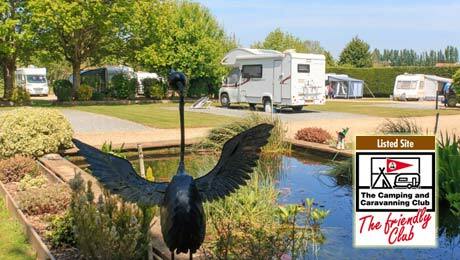 Check-in with your Camping & Caravanning Club Card. Learn more about Camping & Caravanning Club Listed sites and Membership here. Are you a Best of British Loyalty Card holder? If so claim £1 per night discount from your holiday price when booking with us and check in with your card. 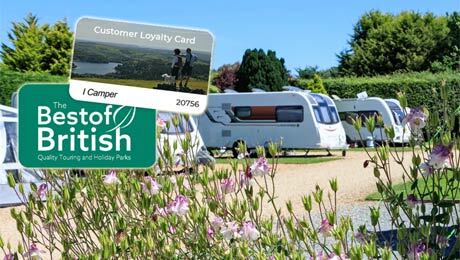 The Best of British loyalty card entitles guests to special terms at any one of 50 member parks across the U.K., it's so easy to apply online here. Remember to quote Best of British Loyalty Card when booking. Check-in with your Best of British Loyalty Card. Learn more about Best of British Holiday & Touring Parks here. Why? Because it's worth up to £5 per night discount when you book with us in low season. That means as little as £19 per night for a hardstanding pitch with electric, 2 adults and up to 2 dogs, fully inclusive. The nightly discount is £5 per night off a standard hardstanding or fully serviced pitch, £2 for single occupancy or tent pitch. No discounts are available to backpackers. Minimum booking period 3 nights. Valid on stays from 1 October 2018 up to 31 March 2019 and excludes peak periods. Voucher must be presented at check-in, photocopies not accepted, vouchers are not transferable. Only one promotion or membership discount may be applied to an individual booking. Discounts may not be claimed retrospectively.